Irial Finan is Executive Vice President, The Coca-Cola Company, and President of Bottling Investments and Supply Chain. Based in Atlanta, he is responsible for managing the five-billion-dollar internal bottling business. Finan joined Coca-Cola in 1981 and has a myriad of national and international experience. From 2001 to 2003, he served as CEO of Coca-Cola HBC, during which time he managed the merger of Coca-Cola Beverages and Hellenic Bottling, and led the combined company’s operations in 26 countries. He serves on the board of directors of Coca-Cola and other companies and is a non-executive director of Alltracel Pharmaceuticals and chairman of their Audit Committee. 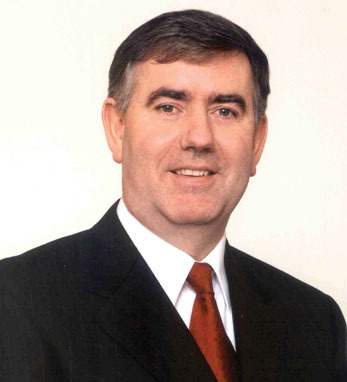 Finan is also a member of the Galway University Foundation Board, and is a non-executive director for Co-operation Ireland. He holds a Bachelor of Commerce degree from National University of Ireland in Galway and is an Associate (later Fellow) of the Institute of Chartered Management Accountants. He is a native of County Roscommon.